Our Kickstarter is doing great! Kickstarter backer and all-around awesome guy, Keith Scherer, has asked for another preview, so here it is! QB HS-190 “Armageddon” Assault Helicopter: This helicopter is extremely illegal. Designed to look like a standard helicopter, it can reveal concealed weapons for a fight. Quantum Black keeps a fleet of these for extreme emergencies, such as when Spider Teams need air support or a nest of horrors in a remote location needs cleaned out. It can carry a Spider Team and combat gear. It is armed with a machine gun and a supply of 4 rockets. In a separate table, the book also has an entry for the helicopter, providing numbers for Size, Defense, Speed, etc. Keith also asked about drones. For Drones, we provide statistics for drone chassis in a variety of sizes and types, including wheeled, tracked, copter, fixed wing, or aquatic. We also have rules for equipping/modifying drones, whether you want to increase speed, improve handling, fit it with high definition or night vision cameras, make it harder to jam, or add armor. We also have weapons to mount on drones. The keep this system in line with the simple, fast, action-oriented Ubquity system, we use the concept of "slots." Slots are abstract representations of the space, weight, power, and processing requirements for a modification to a drone. Drones come equipped with a standard, low-grade camera that offers no bonuses. The camera can be replaced with higher end video equipment. An improved camera requires 1 slot and adds +1 to any Perception rolls made by the pilot. It also improves video quality, adding +1 Perception to anyone viewing video. Lastly, it also adds a +1 to any additional Intelligence-based Skill checks that would benefit from improved picture quality. This may be taken up to 3 times. A fast, shielded, quadrupedal land drone used for quickly navigating uneven surfaces. The Lynx comes equipped with a basic CCD camera for real-time visual reconnaissance and a single shot electro-stunner built into each front “claw.” The Lynx has Improved SIG for better electronic protection and 2X Improved Speed. In a separate table, the book also has an entry for the Lynx, providing numbers for Size, Defense, Speed, etc. This week we will answer questions about our new book. What were your main goals when writing the content of the new book? We mainly were working to address feedback from players. For example, many people said they wanted more information on Quantum Black as an organization. We fleshed that out much more in this book while also expanding the reach of Quantum Black. Since our last book came out, the organization has been growing, with more employees, new facilities, and new equipment. It is a much richer organization for the players and GM now. However, when writing it up, we realized that if we were not careful, that content could be a bit dry. So we wrote it up as if the reader was learning it from a presentation at an orientation for new employees. The presenter is running through a careful script of the official corporate line about everything. The script even has moments where the speaker appears to depart from the script. But that is fake: the whole thing is scripted. If you read between the lines, there is a lot more going on than the speaker is saying. We think it would be more fun for the reader. Overall, much of this book continues the corporate theme of the first book. It is a dark take on aspects of the contemporary tech sector. What is going on with all the new cults in the book? Some players and reviewers complained about our treatment of cults in the first book. We had a generic entry on cults. Quite frankly, a lot of the time in horror, cults are often a bit fungible. They simply are insane people doing evil things for ultimately stupid reasons. Lovercraftian horrors are not going to give their chosen any special treatment or ultimate rewards, and it is painfully obvious to everyone but the cultists. Cultists are useful story-wise: they have complex plans for the players to uncover and make useful fodder to gun down. So we simply treated cults that way in our first book. We did include the Order of the Silver Dawn, which we thought was a bit more interesting than a normal cult. They essentially are a cult of one-percenters that refuse to believe that they are a cult. Ironically, they see cosmic horrors as just one more group to exploit. They serve dark masters while denying they are servants. However, players wanted more cults. So the new book has four more. But we continue to try to do sly takes on cults. But they are fleshed out and have clear motivations. One is the Church of the Starry Dawn, a one-time Christian sect that has been corrupted. Its new gospels have been given to them by a Star Spawn of Cthulhu pretending to be an archangel. Most of them think of themselves as good people, trying to save the Earth by awakening their savior. But they fully understand the widespread death and destruction that will cause. However, they believe they will be spared as the chosen ones: some people like to feel they are special. We also added Biosafe, which I guess is not technically a cult, but a corporation funded and controlled by cults. It continues our corporate theme. All of these cults are working together but also working against each other within this complex corporate system of treachery. This goes along with the corporate theme of Quantum Black. You can simply use them as an evil corporation to fight on its own, but it can also turn up in your campaign working with a cult of almost any godlike being. They are doing pretty horrible stuff, like designing artifical organs made of Shoggoth that will eat you from the inside, turning you into a Shoggoth. We also give you the Unholy Order of the Infinite Hunger, which is pretty much your standard cult, for those of you who want evil, insane cultists to battle. They worship a godlike being that manifests as the giant black whole at the center of our galaxy. You can use them as a standard cult, or you have your team caught between them and the Starry Dawn as they fight each other, as they are sort of diametrically opposed to each other in their beliefs. After all, Starry Dawn wants to save the Earth by having Cthulhu eat almost everyone (not a great plan for saving the Earth, mind you, but they have one). But the Unholy Order simply wants everything to be devoured. They do not think salvation is possible, only consumption. 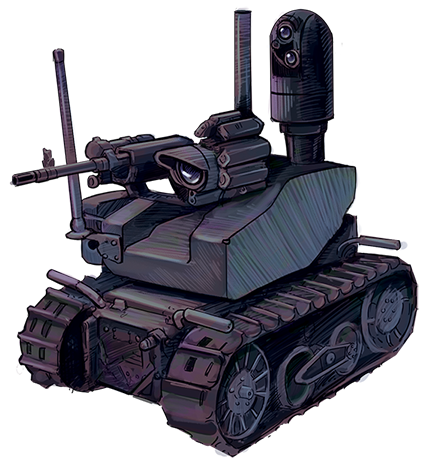 Lastly, we give you Wynne Intelligent Systems, which actually is the first one we wrote. We started fleshing them out late in the process of writing our first book, and we decided to save them for the second book. Wynne is a dark(er) doppleganger of Quantum Integrated Technologies. Like Quantum Integrated Technologies, they have their own charismatic leader who comes up with great ideas out of seemingly nowhere. Wynne is everything disturbing about artificial intelligence, social media, and search engines, rolled into one evil corporation. They also field their own teams of operatives, just like Quantum Black, except they work with cosmic horrors. Wynne is not quite a cult, but unknown to them, they do serve an ancient godlike being. What can you tell us about new equipment? Many players like new toys! Seriously, we're trying to do a few things in this book. First, many players asked for drones to be fleshed out with much more detail. This book does that. We have many more drones, and we present rules for designing your own drones and modifying existing ones. We also provide new rules for drones. For example, if a Wynne team of operatives is using drones against the players, how can players respond? What if they want to jam them or hijack them? Or blow them out of the sky? The new book has you covered if you want to do any of these things. We also have some rules for mounting weapons on drones. But you have to be careful about doing that, as it can attract a lot of attention from law enforcement. Ultimately, drones are cool; they are one of the signature ways that make ours a game of hunting monsters in the 21st century. However, not everyone likes drones, and if you do not want to use them much in your game, nothing has changed. How much you want drones in your game is up to you. We also provide new vehicles, such as stats for the helicopters and aircraft Quantum Black uses. And there are new weapons for killing and capturing foes. My favorite is probably the railgun prototype. Teams can even "hotwire" it in the field to try to make it even more deadly. But we also focus on different sorts of ways to fight foes, such as chemical weapons. I like the glitter grenade, which ruins the day for invisible and stealthy foes. Why all of the focus on Spider Teams? Playing an elite combat team is fun! We have been running games for Spider Teams at gaming conventions, and we have been having very favorable responses from players. Also, it is a very different sort of game than the standard mystery/exploration based game of the first book. It provides you with another sort of experience for your games. Does this book give us more monsters, and if so, do they move beyond Lovecraftian-style horrors? We provide a few new cosmic horrors, such as Varstak, which burrow into a person, turn them into a puppet, and lay eggs in them. The larvae burrow themselves out, looking for new hosts to puppet. And we supply an evil children's toy! But the focus on this book is not new monsters. And we don't venture into vampires, werewolves, zombies, etc. That will come in future books. This book is more corporate themed, and werewolves didn't really fit. Just a couple. For example, we provide a spell for summoning Varstak. Again, this is a coprorate book, not a book on magic. We're working on a book with a whole new magic system for mages and witches. At conventions, people have gotten to test bits of the new magic system. We'll tell you more about that book once this one launches. Will the book explain whether Quantum Black is evil? But if Wynne is an evil version of Quantum Black, does that mean Quantum Black is good? Not at all. And Wynne is a "darker" version, not "evil" version. Does that mean Quantum Black is evil, too? Let's move beyond content. Why is the new book in full color? We think full color looks a lot better. Also, we were disapointed with how the first book printed out. We think Nikolai's art simply did not print out well in black and white with the paper we were using--it looks a lot better when viewed as a PDF. We think the change in paper for color printing will show the art to its full potential in a way that black and white printing did not. We're going all out, with a full-color page template, headers, page backgrounds, etc. We also think this will help sales--when someone thumbs through the book, it will really catch their eye. From now on, we plan to only produce color books. I'm frustrated that this full color book won't match the black-and-white first book. I'd like my collection to go together. We feel the same way. 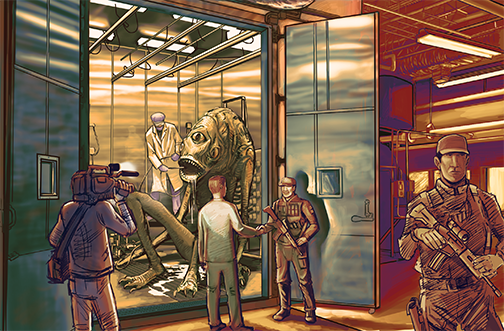 We're looking into redoing the core book in full color at some point. With the first book, well, it was our first book. We were learning. We now think we can produce a full-color book. We simply were not ready before. We're guessing a full-color version will sell better. And it will match all of our future books. When we reissue the core rules (first) book in full color with a new layout, the goal is not to make more money off of people who already have the book--we're simply trying to expand our market with new players. We'll try to find a way for Kickstarter backers and anyone else with a PDf of the old edition of the first book to get a PDF of the new one for free. We'll also try to find a way to offer discounted physical copies. We greatly appreciate all of those who have supported us. However, now we have learned what we needed to know. Dark Designs will be a finished product, and the color edition of the first book, once it comes out, will be the final version. Our goal is to not endlessly redo our books. We had some learning to do when we started out, and we are getting our first book where it needs to be. But from now on, we intend each book to be its final Ubiquity addition. However, if Exile ever produces a new edition of the Ubiquity rules, we will have to see how big the changes are and whether we will need a new edition then. What are you doing differently for this Kickstarter? Seriously, we learned a lot the first time, including printing, international shipping, and unanticipated delays in production. We're changing how we print the book and fulfill backer rewards. Also, with the first book, some delays resulted in our rushing layout, editing and production to get the book to our backers in a timely fashion. This time around, we're not launchng the Kickstarter until a lot of that is done. We're taking our time to get everything ready before we Kickstart. We'll ship a superior product, and we'll ship it on time. This chapter provides you with new and expanded rules for using vehicles and drones, including jamming and hijacking drones. And you’ll need those rules, because cultists and companies like Wynne Intelligent Systems use drones to battle Quantum Black teams. We also present a wide variety of new drone models, including aquatic drones. We also include a new rules for designing and building drones for your campaign, and rules for modifying drones. Also, due to popular demand, we include rules for combat drones. The chapter also details new vehicles, with a focus on vehicles that Spider Teams employ. We supply infomraiton on airplanes, helicopters, and boats as well, so your teams can deploy anywhere that they are needed. Our fifth preview of our new book looks at Chapter 5: Equipment. This chapter features lots of new weapons and prototypes! There is the Vanquisher shotgun weapon system, a massive shotgun with a variety of special shells, designed to defeat whatever a team is fighting. The Mjolnir railgun! Flamethrowers, needle/flechette weapons, grenade launchers, specialty grenades, a net gun, and an electromagnetic pulse rifle. Plus rules for chemical weapons, such as gases, aerosols, and liquids. What if you’re not that into guns? Well we also have rules for generic firearms for players who don't care about gun models. We also present new equipment, such as cages, trackers, and ground penetrating radar. In the image below, you can see an operative use an experimental railgun prototype to get the attention of a cosmic horror. In our fourth glimpse into our next book we examine the third and fourth chapters. 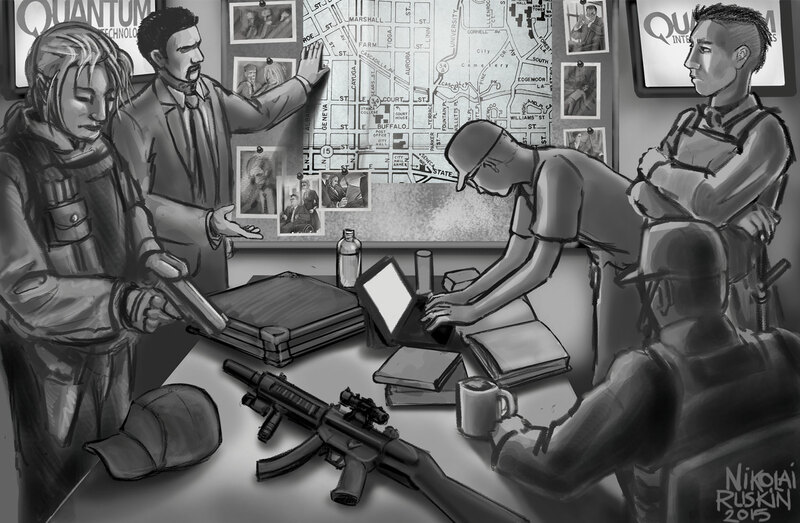 Chapter 3: Gamemastering, is a short chapter provding advice on how to run games for the combat-oriented "Spider Teams," Quantum Blacks high-threat response teams. Chapter 4: Organizations, adds a lot to take your game to the next level, as it features new Organizations for your teams to battle. Two of them are cults. First we have the misguided environmentalist Cthulhu-worshipping Church of the Starry Dawn. To provide a contrast to them we also include the nihilistic Unholy Order of the Infinite Hunger. Meanwhile, two new corporations are introduced to battle Quantum Black. Biosafe Technologies, who wish to twist the very DNA of humanity to serve the Elder Gods, and Wynne Intelligent Systems, a dark doppelganger of Quantum Integrated Technologies. This chapter also includes information on their human minions, three cosmic horrors that work with these groups, and a new, never seen before anywhere else, Elder God. Humanity has ushered in the Anthropocene, an age of environmental devastation, climate change, and mass extinctions. Resources such as rare earth elements, topsoil, and water, are being depleted. And yet humanity continues to breed like maggots on the corpse of the dying Earth, consuming resources at a relentless pace. Someone needs to pray to a god to stop it. And luckily, there is just such a god. And if we work hard enough, soon he shall arise and save the world. This god sleeps beneath an island. Cruelly imprisoned there by terrible forces, he is from a universe beyond our own. These forces dragged him screaming into our reality, and the shock of our universe and its physical laws injured and sickened him, sending him into an aeons-long slumber. However, over the ages, he has healed, and his body has slowly adjusted to our world. And magic has reawakened in our world recently, feeding him with the energies. Soon, he shall awaken. And when he awakens, his wrath at what we have done to our world shall be terrible. He shall strike down the unbelievers and usher in a glorious new age for humanity! Our third peak into our next book examines Chapter 2: Characters. This chapter is filled with character options, featuring an emphasis on making characters for the combat-oriented “Spider Teams” who are sent on the most dangerous, action-filled missions. A variety of new archetypes are also included, many based on playing characters who originated from the various divisions of Quantum Black. Characters in the Research Division go into the field fairly often, as they can adeptly identify the true nature and weaknesses of the horrors that lurk in the darkness. Some volunteer, so motivated by the opportunity to encounter the supernatural first-hand that they are oblivious to the danger. Others are ordered into service, cowering in a field lab or within the back of an SUV. More traditional characters in the Research Division have skill in the various Science specialties, while many also have Computers, Craft, Investigation, and Medicine. Occult specialists typically have Academics (often with specialities in Anthropology, Archeology, History, or Religion), Ritual Magic, and Supernatural Lore. Whether a scientist or occultist, Intelligence is likely to be high. This character is skilled at using heavy weapons. The character has a high Gunnery Skill and also likely has skill in Special Weapons and Firearms skill specialized in Rockets. Administration is also a useful Skill for requisitioning controlled weapons. He will typically have a high Dexterity and also may possess one or more ranks in the Gadget Resource to provide him with a powerful, experimental weapon. A character highly focused on employing experimental weapons may also possess an Intelligence of at least 3 and the Skill Mastery Talent (Special Weapons), thus allowing him to employ all types of unusual weapons with no penalty. We also include three new Motivations, seven new Talents, and six new Flaws. These are all designed to add to your game, whether through increased action or additional roleplaying opportunities. Also, new rules are presented to allow characters to start with Default Skills, which are basic Skills anyone can be presumed to be able to use without training. Here is the second in our series of glimpses into our upcoming book! Chapter 1 is a behind-the-scenes look into the Quantum Black organization. Part of what we wanted to do with this book is do more world building. One request we have had from our fans is for more information about Quantum Black. Since it is the default patron organization for player characters, it helps to know what life is like within the company. You'll find out about how Quantum Black works with the other parts of their parent company, Quantum Integrated Technologies. You'll also learn more detailed information about each division of Quantum Black, ranging from the hackers and espionage specialists of the Intelligence Division to the technology and occult experts of the Research Division. You'll also learn more about the various parts of the Security Division, ranging from Facilities guards to "Public Relations," which act as cleaners. And Security also includes the shadowy, ruthless Operational Security, which does whatever it takes to keep Quantum Black secure, including monitoring employees and dealing with the if necessary. You also learn more about Quantum Black's headquarters. In addition, Quantum Black has been expanding their facilities across the continent and beyond to help keep the world secure. Not only have they added additional bases to launch missions from, they've also built a training facility, a hospital to care for agents with "unusual" health issues, and a research facility to pry into secrets humanity was never meant to know. The book also contains various rumors about Quantum Black's operations and facilities, such as tales about the fabled subterranean "Ragnarok Base" and the supposed Ultraviolet Division. 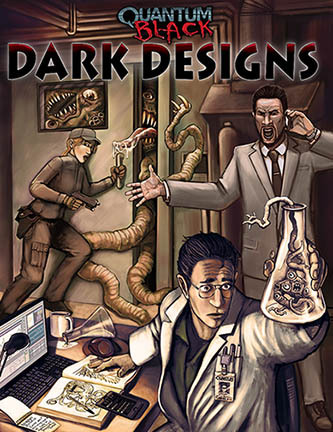 Welcome to our first preview of our second book, Dark Designs. This preview will provide some basic information. What is going on with the book? We've pretty much wrapped up writing content. It needs edited and proofread. The art is done. We've completed a rough layout of the book. Once the editing is done, we'll make a finished layout. What will the cover look like? See the adjacent picture. Something is going very wrong within a Quantum Black base! What is special about the new book? Well, it is crammed full of fantastic content! But besides that, it will be in full color! We've decided to improve the production values of this book compared to our previous book, which was in black and white. We want to take things up a notch with the production of this book. The physical copy will be a roughly 64-page, softcover. We will also offer a PDF. The Kickstarter will feature a limited edition hard cover edition that will not be available in stores. When will the Kickstarter launch? We are currently aiming for a mid-May Kickstarter launch. The date may either move up or back depending on how things go. We want to ship the book pretty quickly once the Kickstarter closes, so we are waiting to launch it until we are confident of a date we can ship a high-quality, finished product to backers. When will the book go on sale? We plan for the book to go on sale to the general public sometime in August. The book should be on sale at Gencon. Come back next week for another look at the book! A more detailed look at Quantum Black. We provide a look at its divisions and describe its facilities, including newly opened US and international facilities, including where top secret research is conducted. And meet your new friends at Operational Security, the ruthless professionals who do whatever it takes to make sure that Quantum Black operatives who can no longer be trusted are properly handled. Details for Spider Teams, including information for running your own Spider Team campaign and additional options for character generation. The Spider Teams are the elite, combat teams who handle the toughest challenges and sometimes come back alive. We also supply sample Spider Team characters, ready for use as Player Characters or NPCs. Rules for “Default skills.” These are everyday skills that any player can use untrained without penalty. New equipment, including new weapons and a modular system for designing your own drones. We also will include aquatic drones. Four new rival organizations, ranging from rival corporations to cults. Two new completely original horrors and one original godlike being. New vehicles, including aircraft and watercraft. As we get closer to launch date, we’ll let you know what content has made the final version of the book, and what we’ll save for later. Until then, let us know what you’d like to see. Many of the above bullet items were specifically requested by our fans. Some people may wonder why we worked on revising our core book instead of creating new product. The answer is that the core book was our first book ever, and we made mistakes in producing it. We learned from those mistakes, and we decided that we needed to correct those mistakes before moving forward. The revised edition features corrected text and a much-improved layout, featuring cleaner typefaces, improved tables, and less whitespace. We want to thank our original designer, who did what we originally asked him to. But once we had a final book in our hands and time to think about it, we realized we needed to change the design. We've done a lot of research to determine what book format will provide the most value for our customers. It looks like 64-page, full color softback books and PDFs provide readers the most value for their money. Since we had been planning on 32-page books, this will require us to shift our announced lineup of planned books a bit, but you'll still get the same great content. More details soon! However, the lineup will still feature Quantum Black: Dark Designs. Our work on that book was slowed by our revisions of the core book. However, in the process of revising the core book we developed a new layout template that is more attractive and will let us pack more content into each book. This will let us put a lot more material into Dark Designs. Since we've wrapped up the revision of the core book, we're now hard at work on Dark Designs. The cover is nearly done, and we have over 32 pages of the manuscript completed. Since the book will now be twice as long, we'll need to write quite a bit more for the manuscript before it is done. We're also still working on Project Charlemagne. We're working on several projects. First, we've commisioned adventures. The first will be a jumpstart adventure that lets people try out Quantum Black. It will contain everything you need to play Quantum Black for one night: rules summary, characters, and an adventure. The second will involve a Quantum Black team stumbling upon a new horror. These are just the first two of a planned series of adventures. Second, we plan additional core books (as detailed on our Products page). The current plan is for these to be 32-page, full color books. We like the 32-page format a lot, as it lets us produce product faster. We'll be able to get new books into your hands on a regular basis and be able to hit our Kickstarter deadlines more quickly. We also plan not to Kickstart the project until it is close to completion--this will allow for a very quick turn-around time. These core books will flesh our the universe of Quantum Black while providing new rules, character options, equipment, rival organizations, and horrors to hunt. 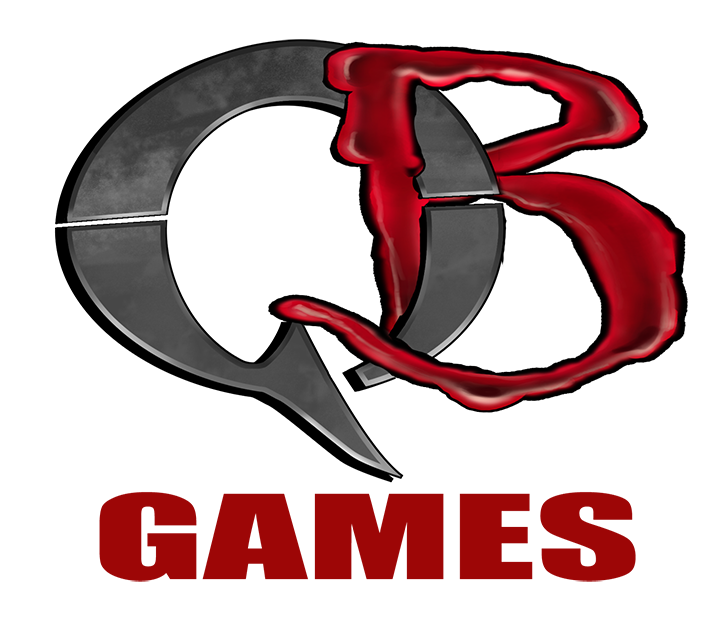 We have most of the first draft of our next core book, Quantum Black: Dark Designs, completed. We plan to wrap the first draft up after Gencon. Then we'll clean up the text, play test it, and lay it out. We've started to commision art. We're also working on Project Charlemagne: Enter the Paladins. 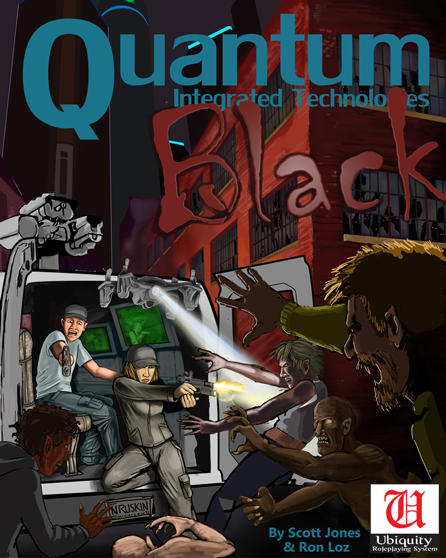 This will feature a whole new campaign for adventures within the world of Quantum Black. Scott has sketched this out and has another author working on pieces of it. When Dark Designs is wrapping up, he will move full force into completing this. We've also started sketching out An Alien Skein and Bleeding Tech. These have both been outlined, and Scott is adding material to these as he has ideas. So where did the title of the game come from? At the beginning, the project was titled Against the Darkness (and traces of this title still exist in places in the book). However, while I liked this title, I thought it did not sound very catchy. I kept thinking we needed something better. Another central aspect of the game is the concept that ours is but one of many universes. The concept of multiple universes can be arrived at in multiple ways, but it is famously contained in the many-world interpretation of quantum mechanics. I realized that “quantum” had come up again. “Quantum” was becoming important enough in the game that I decided to explore having it in the title. But it needed something more than simply that word. I settled on “black” fairly quickly. First, it invoked the “darkness” of the original title. But it also evoked the secretive, “black op” missions the characters would be involved in. In addition, the characters worked for a shadowy subsidiary of a much larger corporation, a subsidiary whose budget is largely hidden, much like the “black budgets” of some government agencies. When I put them together, I ended up with Quantum Black. It was short, and it sounded fairly cool, and it was tied to many of the concepts of the game. And it could work for both the name of the subsidiary the characters work for and as a name for the game. Ron and I have long been fans of the Ubiquity system that powers Hollow Earth Expedition. We discovered it playing games at conventions like Gencon and Origins Game Fair. We enjoyed it so much we began running games at home, but we also started running events at conventions ourselves for the talented people of Exile Game Studio. One of the things many of us were trying to do in our convention games was to demonstrate the versatility of the Ubiquity system. We began pushing the envelope with different time periods and genres. Eventually, we thought it would be exciting to formally develop a setting and publish it. We had a lot of fun running horror games at conventions, so we decided to create a modern day horror game. No one had published a Ubiquity game set in modern times. In addition, not one had developed a horror-themed game for Ubiquity. We sketched out all of what we wanted to do in a horror setting, and we realized it would never all fit in one book: we would have to limit our first book to one type of horror. With the recent surge in popularity of Lovecraftian horror, we thought we would lead with that. However, since we ultimately didn’t want another “Cthulhu game” with a setting limited to that style of horror, we left Cthulhu out of the title. When future books add elements from other types of horror, we don’t want anyone complaining that we got Chupacabra-chocolate in their Cthulhu-peanut-butter. The first book is a standalone core book that provides everyone with a complete horror setting. Unlike many other horror games, you work for a large corporation which sets you on missions to not merely defeat horrors, but collect samples and specimens. We also provide a full set of rules for the Ubiquity system. If you have never played the system, rest assured it is easy to learn and fast to run. People easily can learn to play it in only a few minutes. Modern equipment, including firearms, drones, and body armor. A new system for resolving how horror tests characters’ sanity. The system is intuitive and works much like the combat system. Unlike many other games, you don’t end up in a downward spiral ending in permanent insanity. While the first book is self-contained, we have a variety of future books planned with more horrific creatures, organizations, equipment, and magic, along with a lot more material for the setting. Our goal is to produce a series of books that provide a variety of options for people to choose from to customize their game. Today we will give you a taste of the magic system in Quantum Black! One of the things we wanted was a magic system that captured the dark, dangerous nature of magic in a horror setting. In Quantum Black, there are not fixed spells, spells that if a player owns the game book, they know exactly how the spell works. Every spell is unique to that game. When your character finds an old text explaining how to bind a Shoggoth, you, the player, cannot simply look up “Bind Shoggoth” in the game book and know how it works. So how can we give you a workable magic system without having the spells in the book? Well, we do have write ups types of spells, such as a binding spell, where we describe basic mechanics. But then the GM customizes it. Can this spell bind any creature? Can it only bind certain types of creatures, such as creatures from space? Or can it bind only one sort of creature, such as Shoggoth? Once the GM determines that, she sets other parameters. What are the penalties for critical failures? And even if it works, does the spell exact a price? Some spells exact a Dark Cost on the caster, their allies, or the world around them. Does this spell? Can the spell only be cast at certain times (“when the stars are right”) or do certain times make it easier to cast? Does it require certain components? Does it require items with a sympathetic connection to the target (such as Shoggoth ichor to bind a Shoggoth), or do such items merely make the spell work better? How big of an area does the spell impact? What is its range? Rules in our book detail each of these options. The GM also can determine how accurate the ancient text containing the spell is. For example, maybe the author believed it required human blood but was simply wrong about that. Maybe the author always cast spells at midnight, so he did not bother mentioning that in the text. Once the GM is done designing the spell (which only takes a minute or two), the player will have a Bind Shoggoth spell (but hopefully the GM comes up with a more colorful name than that). But it will be a version of the spell for her game, different from others in other games. When players go to cast a spell, the GM needs to determine if any modifiers apply, such as from ley lines or optional components, etc. The caster can also be aided by others, making the spell easier to cast (perhaps they are holding hands and chanting). Spells take place as extended actions. Casting a spell causes the caster to be mentally fatigued, depicted in the game as Sanity damage. While this explanation took some time, within a game session magic is very fast for the player. It simply takes a few dice rolls. In playtests, casting spells was as fast as any other action. This was a brief glimpse into magic. We hope this catches your interest. If you have questions or want to know more, feel free to ask on Facebook or email us. And please back our Kickstarter! The incomparable Nikolai Ruskin continues to make progress on our cover. It is not finished--Nikloai is still making final revisions. But we thought it was time that we moved from sharing his early draft to a more finished product. What is going on in the cover? It is a scene from one of our playtest adventures, "The Hungry Dark." We ran the adventure at Origins and Gen Con in 2014 and Gen Con in 2015. Tasked with invesitgating what is killing homeless people in Detroit, the team travels to the city expecting to encounter a horrific monster. Instead, their explorations uncover a much bigger problem. The scene on the cover is exactly how the adventure's final scene played out at one the 2014 conventions. But this year at Gen Con, the team used legwork, drones, and surveillance cameras to avoid such a fate. Can your teams play it just as smart? August 7, 2015: Meet the Deep Ones! 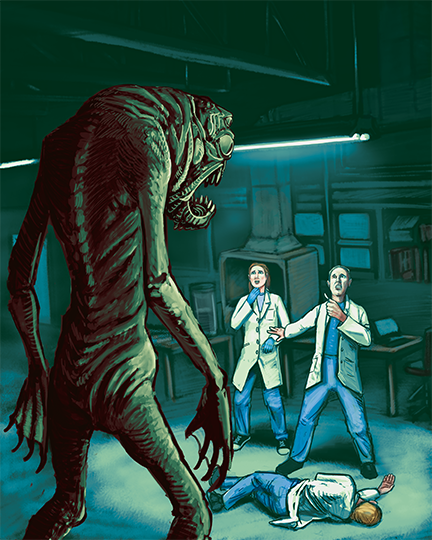 Now that we're back from Gencon, we thought we would introduce our take on a classic horror--the Deep Ones! 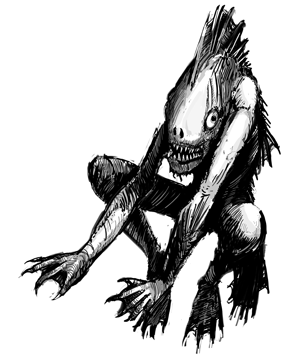 Native to another dimension, Deep Ones are fish-human hybrids that dwell in undersea cities. Most are humanoid in size, but as they grow older they often increase in power, size and deformities. True amphibians, they are excellent swimmers and equally as comfortable walking on land. Deep Ones are hard to spot, but when seen they are mostly a sickly dark grey-green color, with bulbous protruding eyes. Their bellies are often fish white. They can also speak, albeit very gutturally. Deep Ones are on average as intelligent as humans: in fact most were once human. Deep Ones can reproduce, but since their numbers are small and they want to maintain genetic viability and diversity, they often form alliances with human coastal communities. They trade fish and exotic jewelry for the right to mate with humans. Any resulting babies are born initially appearing human, but over time they succumb to their genetic inheritance. At first such changes are subtle, but around middle-age, the transformation hastens, and the new Deep One hears the song of the deep and feels an irresistible urge to join its undersea brethren. The longer they wait to join their undersea kin, the harder it is for them exist on the surface. Eventually, a Deep One stranded on land will go insane if it cannot join its brethren. After the transformation is complete, the new Deep Ones typically slowly lose some of their human memories and skills. Humans allied with Deep Ones typically form a cult and worship the Deep Ones and their gods, Cthulhu and Dagon. As Deep Ones age , they grow larger, stronger and wiser; while this process slows, it hypothetically never ends. The aging process allows for a Gamemaster to create many types and sizes of Deep Ones, with all sorts of different attributes and skills. Some Deep Ones find that as they age the mysteries of the universe open to them. These lucky few become Deep One mystics and priests. They are able to clearly retain memories of their hybrid human lives, and thus can possess any skills a human would possess and can even learn magic spells. While some Deep Ones mature in age and wisdom, others gain size and strength to become deadly, brutish thugs. These Deep Ones become the protectors and soldiers of the race. Deep One cities usually exist in the deepest, most unexplored parts of our oceans. The smaller settlements that usually interact with humans have shown themselves to be either ancient Deep One outposts or the remnants of a once great city suddenly cut off from their home dimension. Fortunately for humanity, Deep One encounters and cities are rare, as Deep One communities typically only flourish when in their own dimension, or when it is close enough for its energies to leak into our own. Most Deep One undersea cities partially or wholly exist in other dimensions. Their cities tend to be located near soft spaces that are junction points between worlds. When dimensional boundaries are strong, Deep Ones can move into our world with great difficulty, so few are encountered if at all. As the boundaries weaken, movement between dimensions becomes easier. When the dimensions are near enough, Deep One Priests can craft vast, continuous portals that allow free movement between worlds. An interesting consequence of the weakened dimensional walls is that sometimes creatures traveling oceans of other dimensions accidentally move between dimensions. This certainly could be the cause and explanation for some odd marine life that has sometimes appeared on our world as well as unexplained disappearances of ships and submarines. In Quantum Black, the boundaries between our dimension and those of the Deep Ones are weakening, and the Deep Ones are increasingly returning to old haunts in our world and renewing ties with old communities. When their dimension was far away, few humans with traces of Deep One blood would turn into one. Now, with the energies of their dimension increasingly leaking in, human communities with strong Deep One ancestry are finding inhabitants turning into Deep Ones an increasingly common occurrence. Deep Ones in Quantum Black can be found advancing what they believe to be the plans of their gods, often Cthulhu and Dagon. However, they are a intelligent, ancient civilization, who can also enact their own complex schemes. Deep Ones are highly diverse with many differences in physical attributes and skills. Below is a typical Deep One. July 28, 2015: Let's Answer a Common Question: Why Fight Horror as Part of a Corporation? First, don’t get hung up on the default. Once you buy the book, you get to play the game you want to play. If you want to run a different sort of game, you can. However, we think the corporate team concept offers some advantages. There are already horror RPGs where the characters are part of a government/military team, members of a mysterious organization, or independent heroes. While many of these games are great, we wanted to explore a different theme instead of simply going over old ground. As members of a corporate team you get many of the toys you would get from working for the government, much of the intrigue you get from working for a secret organization, and all of the challenges of the independent hunters with a need to hide from law enforcement and the press. And you get some new twists as well! But why a corporation? Well, today there are many large corporations that argue that they are better suited to address major societal needs than governments—they believe are better resourced, more innovative, and more flexible. 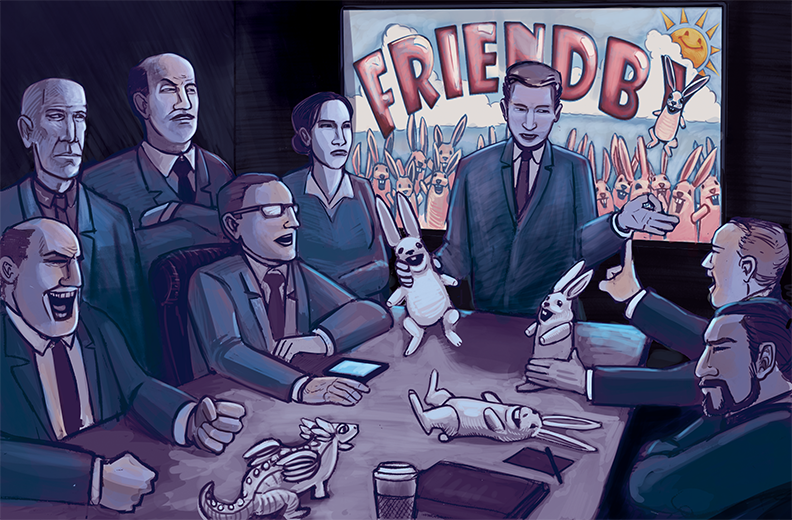 These powerful corporations claim to be benevolent—or at least not to be evil. But they also are becoming integrated into the basic fabric of society, giving them more power…power greater than some governments. We thought a corporation “out to make the world a better place” would certainly devote resources into researching and thwarting supernatural threats to humanity once it realized such threats existed. Let’s face it, in our world Google is concerned about providing people with access to old books, addressing climate change, and eliminating auto accidents, among other things. 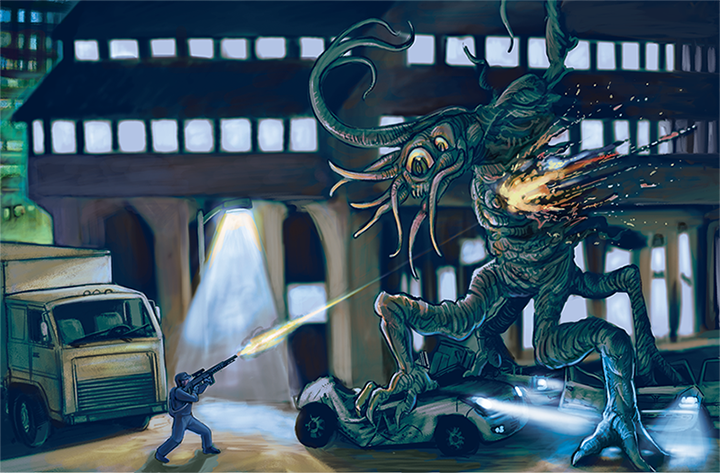 If there were Shoggoth eating people, Google would likely be concerned about that as well. So we wondered, how would a powerful corproation respond to being in a world menaced by hidden supernautral threats? Now, some players have said “I find the idea of working for a huge corporation disturbing.” Well, it’s a horror game, and it should be disturbing. What Quantum Black is up to, and whether the characters can trust it, can be an important component of your game. Do you have a question about Quantum Black you want answered? If so, email: scott@quantumblackgames.com. Today we'll give a preview of another archetypical character: Xander Baines. Xander often serves as an occult expert for a Quantum Black team. Xander has knowledge of supernatural menaces, has some understanding of magic, and can often decipher old texts the team finds. Unfortunately, his knowledge of the supernatural also has made him Superstitious. Xander Baines was a graduate student in history interested in the specialty area of the history of the occult. He and his friends didn’t believe in the occult. They believed occult practices and beliefs represented society’s method for addressing larger societal issues and fears. While doing research, he found some fascinating old books in used book stores. To gain a better understanding of magic (and impress some undergraduate females), he and some friends decided to try casting a spell from one of the books. They tried a summoning spell. Since they didn’t really believe in magic, they didn’t bother with protection or binding spells. Unfortunately, the summoning spell worked. Something...came. It was hungry. Xander barely escaped with his life. Everyone else was not so lucky. He ended up arrested for the murder of his friends. Quantum Black managed to clear his name and they put him to work as an investigator. Xander has a lot of historical knowledge of the supernatural and magic; but he does not always know how accurate it is. Xander is terrified of what the true nature of the universe might be--what other magics might be real? True magical knowledge and the true nature of reality needs to be concealed from those not ready for it. Xander is afraid of monsters, the unknown, and magic. The only thing that he fears more is what might happen if Quantum Black does nothing. Xander appears to be a bit of nerd. Poorly dressed and nervous, he still manages to find a way to carry on in investigations. Baines stills thinks of himself as a historian (he was halfway done with his Ph.D.) and has yet to come to grips with the fact that he is an occultist working for a secret arm of a megacorporation. Xander is a nice guy who tries to do what is right. He tries to help his new friends by offering up bits of esoteric knowledge. Welcome! We'll be posting information about our game here. Today, We'll give a glimpse of one of our archetypical characters, Nate Pulaski! Nate represents how many Quantum Black characters come from various walks of life. Quantum Black often recruits people not just for their skills, but because they have encountered the supernatural and survived. 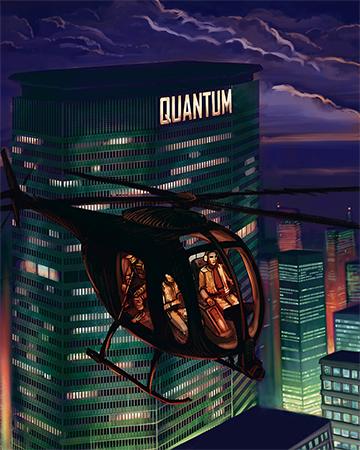 Quantum Black does not need its team members to be saints: they simply need to be willing to do what it takes to stop supernatural horrors from destroying mankind. Nate Pulaski was a Narcotics Detective in the Baltimore police department. He started out a good beat cop and worked his way up to Detective. But after a few years of making arrests but never really impacting the drug trade, he grew cynical, then began a descent into corruption. There was never a moment where Nate decided to become a bad cop. It was a slow, incremental process. He ended up allied with on drug gang, providing them cover while arresting their enemies, and making money while doing so. Whether covering up crimes, hindering investigations, or planting evidence, Nate calmly handled everything. Convincing himself that he was not really doing anything bad, that he was merely making sure the more reasonable drug dealers stayed in control, and simply earning the money he deserved as an underpaid cop. After all, if he arrested this set of drug dealers, they would end up replaced soon, anyway. Then one day, an investigation led to a group of cultists, and….and something they had summoned from another world. Nate barely escaped with his life, but his partner and two uniforms did not, and Nate ended up being found covered in blood, his clothing in tatters, shaking, gibbering about the horror he had fled. Once he calmed down, he tried to explain what had happened, but no one would listen. A month later, he managed to get himself released from the mental institution they had placed in him in, but he was never getting his shield back--he was off the force. Quantum Black contacted Nate--they appreciated that he had survived an encounter with the supernatural. They told him that they could use someone with a detective’s skills, someone who could handle the unusual, and someone who could bury evidence and act as a cleaner to cover up the supernatural. Now Nate works for Quantum Black. The pay is good--but not as good as he used to make working with criminals. He has yet to encounter any supernatural horrors again, but he acts as an investigator as part of a team and has been called in to clean up after other teams have apparently bagged a monster of some sort. Nate feels lucky to have survived his initial brush with horror, and he wonders whether maybe he has been given a chance to atone for his past wrongs. But Nate was bad for so long, he’s not really sure how to be good anymore. Nate is a burned out, jaded, cynical, jerk. He spent years surviving the roughest streets in Baltimore, and he is a experienced survivor. Officially he is an investigator for the team, but he also sometimes doubles as security. He also acts as a cleaner when needed, modifying crime scenes to handle any investigations the authorities make afterwards. Thus, he is responsible for covering the team’s tracks. Nate vacillates between trying to be a good guy and being a jerk. He can be charming and helpful when needed, but he can also can treat his team members as disposable. Quote: I’ll take care of it. You can trust me. Callous--Gain style when you are selfish or refuse to help someone in dire need. Copyright © 2015-2018 Quantum Black Games LLC. All Rights Reserved.